Tripp Lite's SmartRack SRSHELF2P is a 2U cantilever mount fixed shelf. Cantilever shelf supports monitors and other equipment with a 60lb capacity. 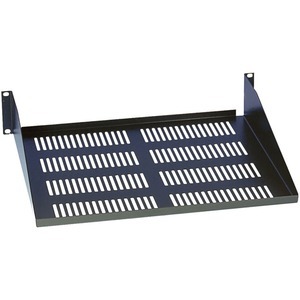 Shelf is compatible with 2 or 4 post rack enclosure cabinets. The SRSHELF2P is 18 inches in depth but can use two shelves back to back to create a deep fixed shelf in 2POST racks. Required mounting hardware is included.